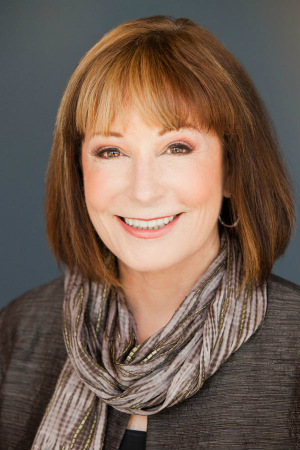 « Should a Single Woman Buy a Home With her Boyfriend? 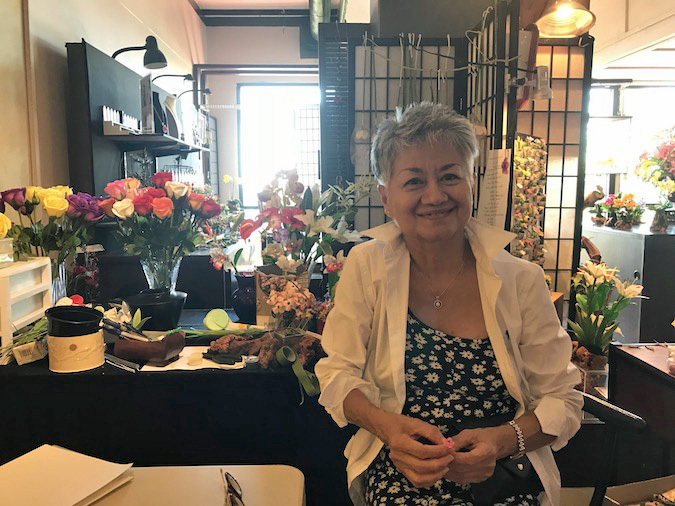 The owner of Nana’s Clay Flowers in Kailua Kona, Tara Vilaiwan, is holding a small clay flower in her shop on Ali’i Drive. My friend, Linda, introduced our coffee group to this shop. All of the flowers are made from a soft clay that hardens without baking, called Lana Clay. It’s very expensive, Tara explained, but she also makes her own clay. 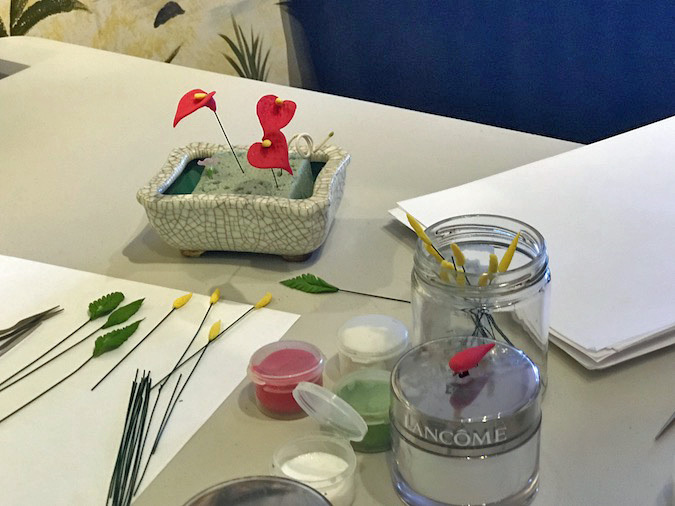 She will teach you not only how to make clay flowers but also how to make your own clay. 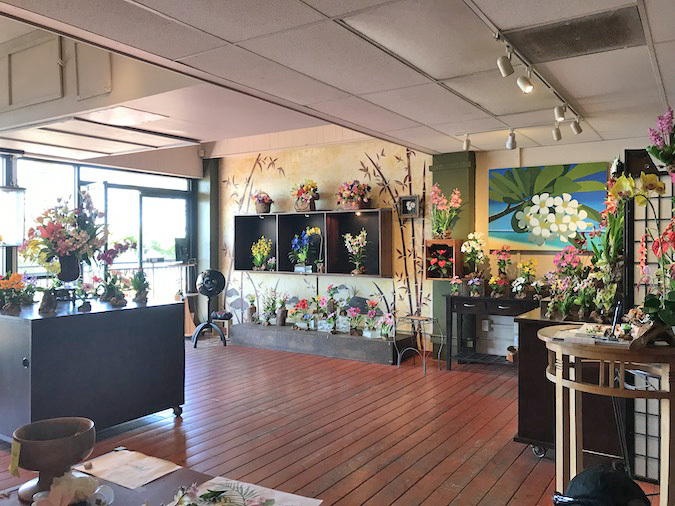 Tara has been creating clay flowers in Kailua-Kona for 15 years, and she started the business 30 years ago. 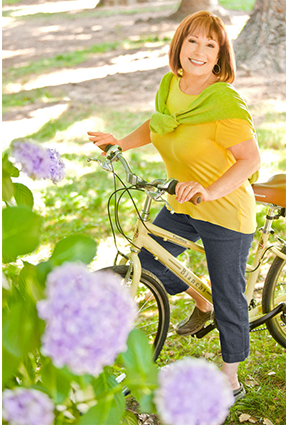 An astounding fact is she developed her own tools and found a person to craft the tools for her. They are sort of like knitting needles but some have edges that can roll out realistic looking leaves. In my opinion, her clay flowers look better than silk. They present a real image. She has given classes to many artists. I am not that creative with my hands. Can’t even draw stick people very well. So I did not attend the class but just watched for a while. But she alluded to the fact that others have learned from her because she came up with the artistic concept. My friend Linda (pictured here) invited me to come along to her one-on-one class with Tara on how to make clay flowers. The clay itself is colored by oil paints. In this photo, Linda is making the leaves for her very first anthurium. Did you know that real anthuriums are poisonous? They contain a long stem flower in the center, ornamental green leaves, and a waxy heart-shaped flower, which is really a spathe. Here is a close-up of the parts of the anthuriums Linda made yesterday. The white jar with the open lid contains glue, and only a tiny portion of glue on the wire stem is required to hold the clay to the wire. After the clay dries, in about 30 minutes, it is ready to be painted. You can drop the clay flowers and they will hold their shape. Unbreakable. Sunlight doesn’t harm the color, either. But the main thing is they appear real. 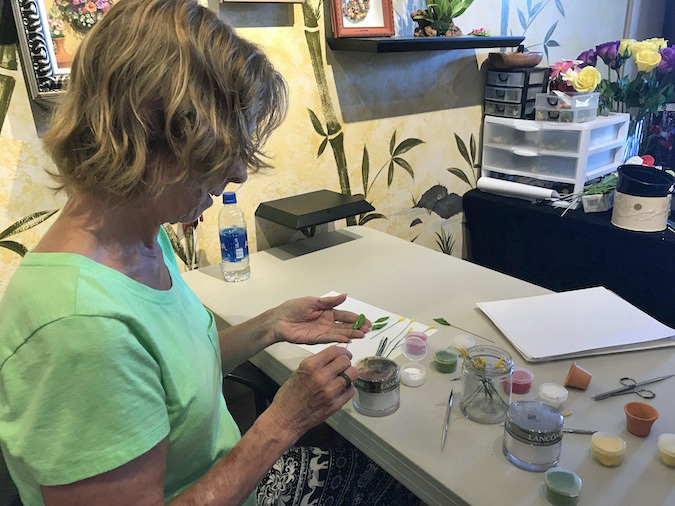 Tara makes clay flowers in Kailua-Kona in all sizes and shapes. Some are normal size and very lifelike. 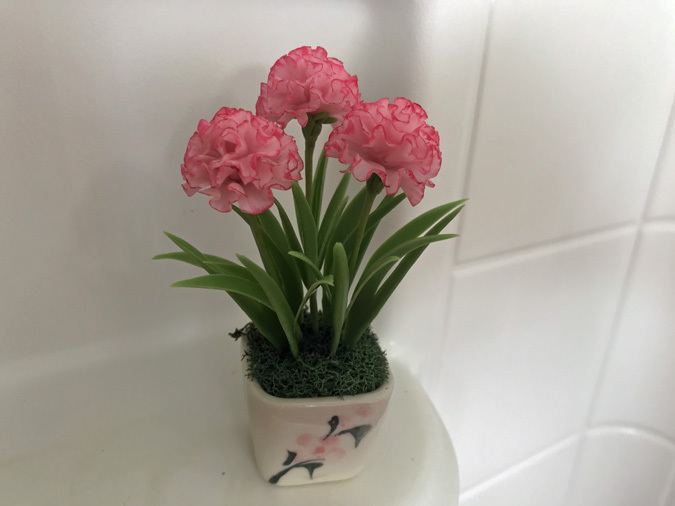 Others are miniature versions like this tiny carnation pot I bought for our house in Hawaii. She doesn’t use photographs but relies on the image in her mind. You should see the tiny monkeys. I almost needed reading glasses to view the detail because they are so small, about 1/2 of an inch.